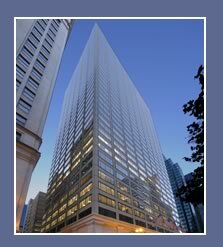 180 North LaSalle is a recently renovated, 38-story Class A office building located in the highly regarded Central Loop / LaSalle Street submarket of downtown Chicago. The property is located at the southwest corner of LaSalle and Lake Street, across from the Thompson Center and just a few blocks from Chicago’s prestigious Theater and State Street shopping districts. Strategically positioned in the LaSalle Street office corridor with unsurpassed access to numerous government buildings as well as Chicago’s Financial District, 180 North LaSalle takes advantage of all the Central Business District has to offer. The property features an elegantly designed exterior and main lobby, highly desirable floor plates for full floor and multi-tenant configurations, convenient retail amenities, a neighboring 900-stall parking garage and fiber optic cable riser throughout the building. The property was designed by visionary modernist Harry Weese and built in 1971. 180 North LaSalle was named Chicago’s best new building in 1972 by the Chicago Sun-Times. 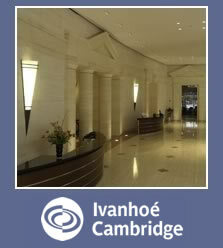 In 1999, 180 North LaSalle underwent a $21 million renovation program to include a new building façade, improvements to the building’s operating systems and an elegantly renovated ground floor lobby area. The renovation was designed and implemented by world renowned architects Ricardo Bofil of Taller de Arquitecura in collaboration with the Chicago based architectural firm DeStafano & Partners. The project’s architects and design team incorporated “modern classicism” into the property’s renovation utilizing classical architectural elements to include pediments, Doric style pilasters and entablatures.